Staged out of Buckroe Beach in Hampton, VA the The Tidewater Triathlon is a fun, must do sprint triathlon. Buckroe Beach Park provides a stunning setting for this mid-summer race. The 400 meter point to point swim takes place in the Chesapeake Bay and goes around a large pier, providing outstanding view of the swim course! The 10 mile bike course is closed to traffic and is a fast, 2 loop course. The run is a fast and flat out and back new 2 mile course on the boardwalk and First Street. There is plenty to see and do in the area so come in Friday night and see the local attractions before the race on Saturday. There are a multitude of activities, including the Virginia Air and Space Museum, and The Mariners Museum. Plus, it’s a short drive to Virginia Beach. 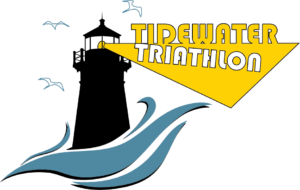 Click HERE to discover your reason to visit Hampton and race the Tidewater Triathlon. Swim Course: Brought to you by SailTime. Staged out of Buckroe Beach the 400 meter swim is in the Chesapeake Bay and features a rectangle swim course. It is a 1 loop course with a short beach run to get to the transition area. The course maps show a clockwise loop, but the direction of the swim will be determined race morning depending on the current. We do not expect it to be Wetsuit legal, but always be prepared! Bike Course: The bike course is a fast, flat 2 loop course that goes down Mallory and Mercury Streets. The turnaround is now just outside Fort Monroe on the far end and on the near end at the intersection of Mallory and Point Comfort (not near the transition area). This course is very flat and very fast and is completely closed to traffic. The road surface is not perfect, but it is flat! Run Course: This new run course is fast and flat out and back with great beach views of the Chesapeake Bay throughout. It is now 2 miles long and runs along the boardwalk and the back half is along First Street. There will be ice water available 3 times during the run. You’ll love our swag! 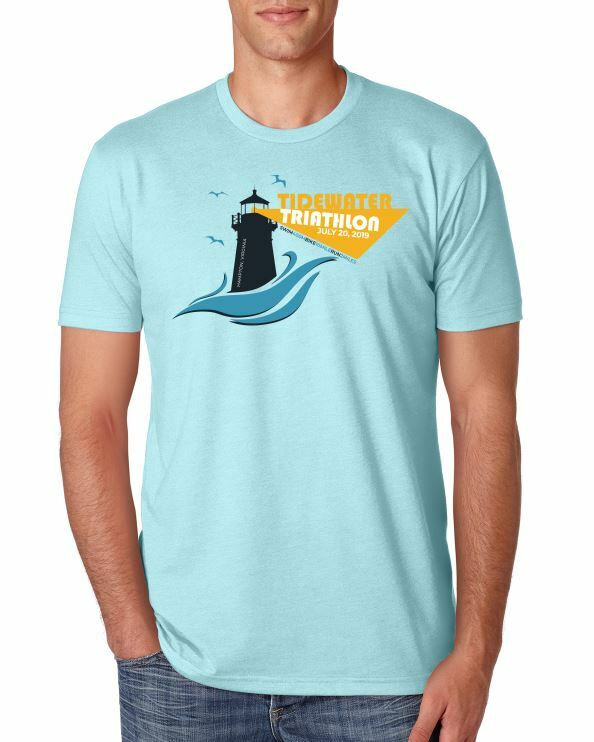 All athletes receive a Tri-Blend Race Shirt, Custom Race Socks and a super cool, custom Finisher’s Medal. Also, don’t forget the DJ, bounce house for the kids and a fabulous post race pizza. Note: Participants must collect his/ her own event packets. Photo ID is required in order to collect event materials. NO ID = NO EVENT. Hint if you take a photo of your identification and have it on your phone that will be sufficient for ID purposes.